I commented to Christy last night that over the last few weeks, I’ve added a lot more blocks to my foundation, but as I’ve done so, I’m aware of even more gaps in my fundamentals. 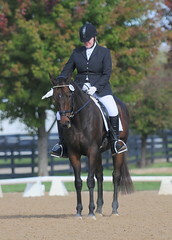 “Welcome to dressage!” Christy replied. 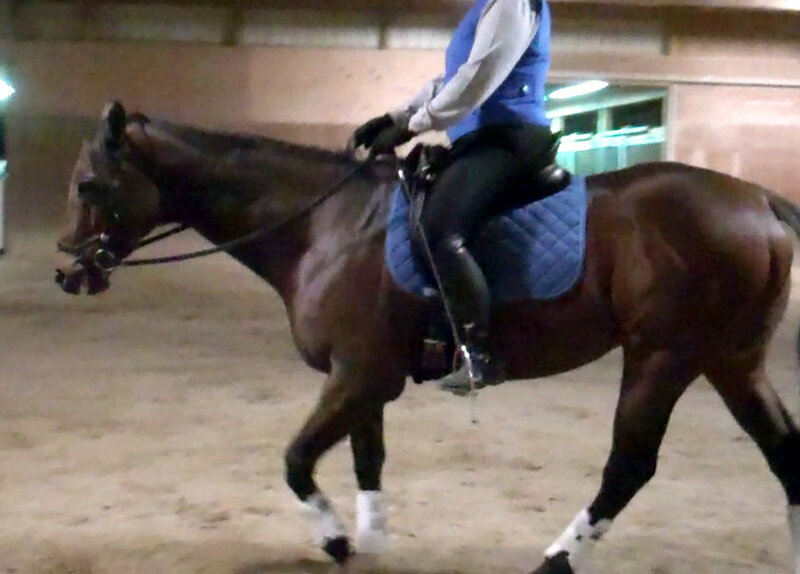 She went on to note that the changes we’ve made in my leg (un-pinching my knee, among other things) and seat (more awareness/use of seatbones) has improved my posture in the saddle and Derby’s gait quality. In particular, she said, I’ve got more throughness, better connection and more hind end engagement. This was music to my ears. It often feels better – I’m glad that the improvements are visible, too. 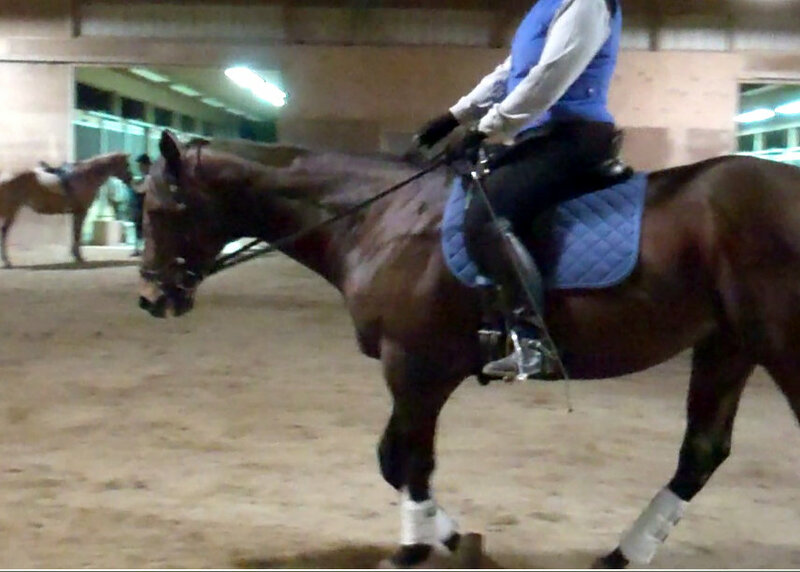 Last night we worked on my feel for getting the horse into the outside rein. I noticed that I ride fairly correctly, with good “feel” and response, going to the right. However, going left – the direction in which I fight my physical crookedness and a stiff hip – is another story. 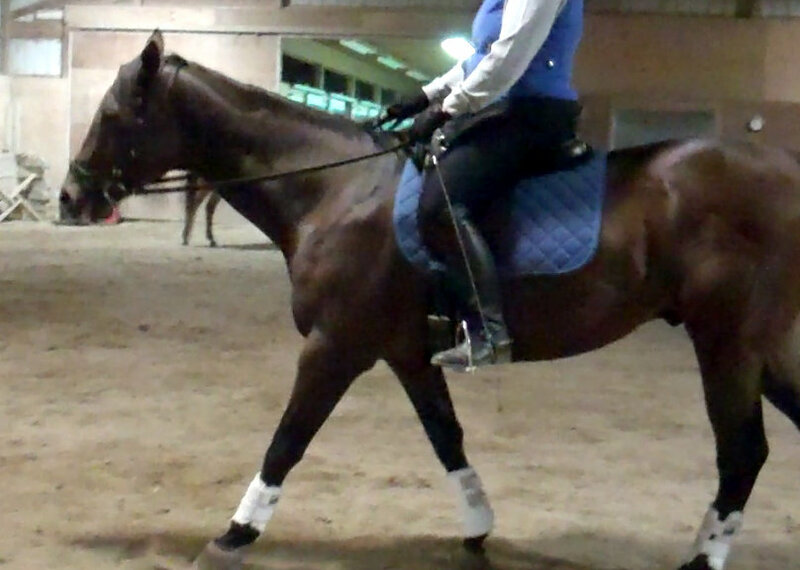 We repeated an exercise I’ve done before – turning the shoulders with the outside rein, while giving the inside rein. Christy diagnosed one of my problems – an “eh” response from the horse, and reminded me that I can’t accept that from him. He *can* step under himself with his left hind. He can leg-yield nicely to that direction. And I can’t let him get away with saying “eh, don’t really wanna.” So my take away was that I need to think as much about what I’m training Derby to do in every ride, as well as my own riding. “Bad habits are compensation for no response,” Christy noted. I am paying attention to correct response. The horse is not allowed to ignore the rider. A braced neck. We’re hanging on each other. A stride later. I give with the inside, hold the outside, and apply my inside leg. Voila. Round. Rinse and repeat. Continually, for the rest of my life. So, in addition to honing Derby’s response, I need to be aware of and hone my own, whether it’s giving the inside rein, or issuing a swift correction when necessary.